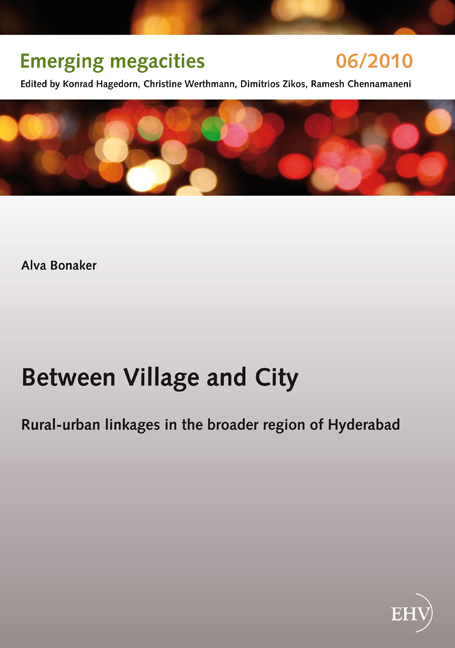 The rural-urban linkages in the Hyderabad region are one of the research areas of Work Package 6 “Participation and Communication Strategies” of the project which is dealt with by the nexus Institute for Cooperation Management and Interdisciplinary Research. Nexus examines the quality of rural-urban linkages with the aim to identify the exchange between city and village and establish or strengthen spatial partnerships that can promote energy eﬃcient lifestyles and have a positive eﬀect on social networks. Within this research ﬁeld the present paper tries to analyse rural-urban migration in this area with focus on changes through new technologies in the city as well as in the villages.